“Do you want to watch a movie?” while patting my hair reclining on the bed she asked. She removed the blanket from her body, and walked to the table where she had kept a collection of some of the romantic Hollywood movies. Standing naked, she showed me the covers of the films she had in her hand. “Oh, you like the romance?” I asked here, while glancing at the covers of the DVDs. She pulled out The Notebook, from the stack of DVDs, and gestured that it was what she wanted to see. In few minutes, we both plunged in to the unusual love of Noah and Allie, with each of us having a glass full of deep golden and glossy colored Black Dog Reserve. Watching our favorite romance, The Notebook, while savouring our favorite Black Dog Reserve, with the beloved one sitting close to each other was a refreshing experience. We both found it as a different watch. 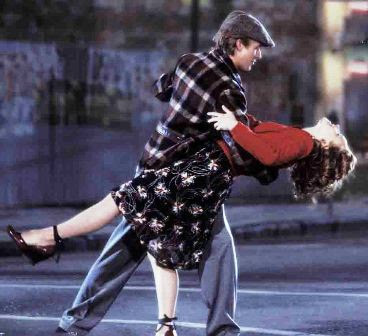 Especially the scenes, when Noah and Allie went to the theatre, and the night they both walked through the street, when he reclined on his back on the street in order to impress her, every scene had created a new and refreshing experience in our minds. Watching a classic Hollywood movie, while relishing a peg of Black Dog Scotch, is truly a different experience. 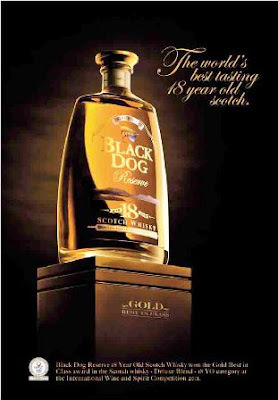 You will get to be identified more and more with characters, especially if you have someone with you, who is equally becharmed with the classic refreshing abilities of Black Dog scotch, who totally understands your likes and tastes. “And what’s that, Diane? ” I asked.